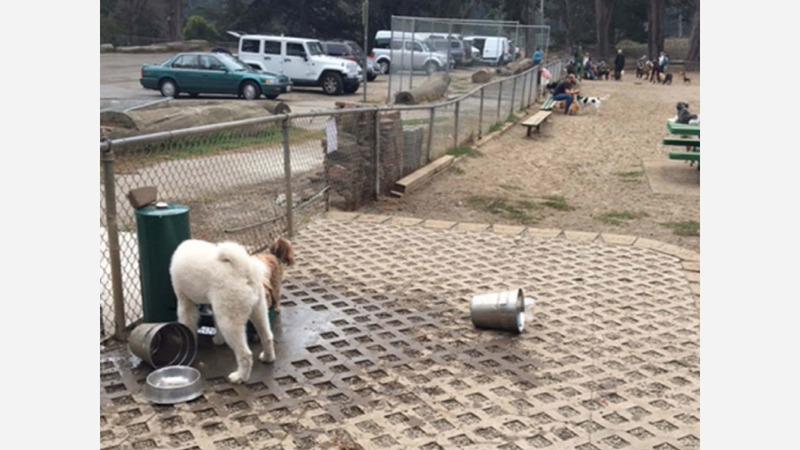 SF Rec & Park has released a series of proposed improvements to the dog play area at Golden Gate Park, located near the Bison Paddock at Fulton and 39th Avenue. As reported earlier this month by the Richmond District Blog, the improvements are intended to refine and update the area with new paving and plantings, picnic tables, separate large and small dog play areas, a drinking fountain, dog play structures, shade trees, benches and improved security. The upgrades are being funded through $2 million in state grants under the state Natural Resources Agency grant program, through applications by District 1 Supervisor Sandra Lee Fewer and Assemblymember Phil Ting. Variable options on the project are fairly small at this point, such as percentage differences in how much space is allocated to what size of dog. Nonetheless, Rec & Park is requesting neighbor input through a survey, to help determine the ultimate shape of the area's improvements. The survey is available here, and will be posted through August 17th. The renovation project is inching along steadily. Rec & Park estimates construction will commence sometime in late 2019 or 2020, after a round of contract bids next year.